The band are also thrilled to announce they have been nominated for 3 Planet Rock “The Rocks” awards: Best British Album, Best British Single (Until The End), Best New Band. 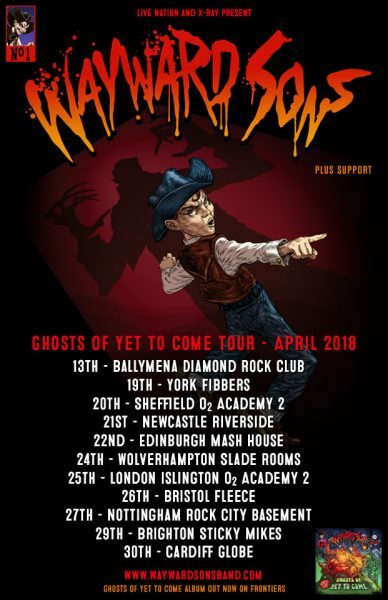 Wayward Sons is a UK guitar act made up of Toby Jepson (Vocals/Guitar), Sam Wood (Guitar), Nic Wastell (Bass), Dave Kemp (Keys) and Phil Martini (Drums). They have an impressive resume of groups they have previously worked with – Little Angels, Gun, Spear Of Destiny, Treason Kings and Chrome Molly to name a few – which is reassuring in terms of the band as players but doesn’t really hint at their sound. 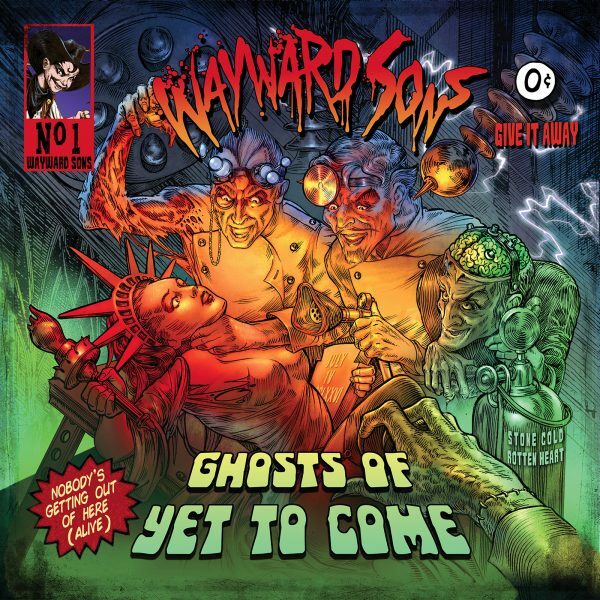 Wayward Sons sound nothing like the sum of their parts. The music is hard rock but mixed with a vitality and energy – both musically and lyrically. Tickets available through all usual outlets. “Ghosts Of Yet To Come” is available now through Frontiers Music Srl.